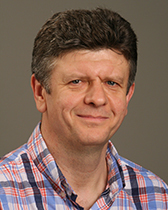 Wojciech Olszewski's work concerns game theory with a particular focus on repeated games with private monitoring. He has also worked on the testing probabilistic theories, and contributed to the literature on decision theory, mechanism design and collective bargaining. He was the recipient of a Sloan Foundation Research Fellowship, and a National Science Foundation Early Career Development award. He is an associate editor of the journals Econometrica and Theoretical Economics.